Tamil actor K. Bhagyaraj was born on 7th January 1953 in Vellankoil village, Gobichettipalayam, Erode district. He is a multi talented personality who explored several aspects of cinema including screenwriter, director, actor, music composer, novelist etc. He worked for Tamil, Telugu, Malayalam film industries as an actor and writer. 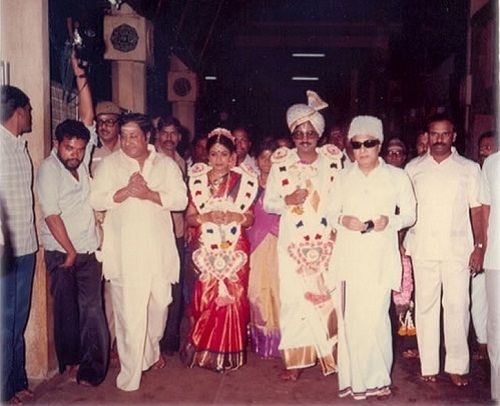 He started his film career as an assistant director to Bharathiraja and G. Ramakrishnan. He gained recognition for his writing skills while working under the guidance of senior directors. He made his acting debut with Pathinaru Vayathinile in 1977 in a very small supporting role. 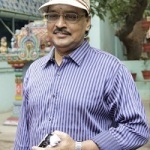 After working for few movies as an assistant director he ventured into movie direction with Suvarillatha Chiththirangal in 1979. In the same year he made acting debut in lead role with Puthiya Vaarpugal in 1979 co-starring Rati Agnihotri and Goundamani. 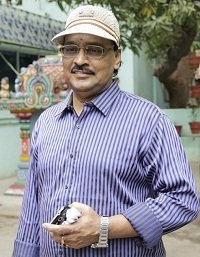 His first blockbuster hit was Kanni Paruvathile in 1979 co-starring Rajesh and Vadivukkarasi, K. Bhagyaraj himself wrote screenplay and dialogues for the film. He subsequently appeared in box office hits like Bhama Rukmini, Vidiyum Vari Kaathiru, Indru Poyi Naalai Vaa, Antha Ezhu Natkal, Mouna Geethanagal etc. Bhagyaraj also ventured into Bollywood and directed blockbuster hit Aakhree Rasta starring Amitabh Bachchan. After 2000 he started to focus on small screen and worked for Television shows like Neenga Nenaicha Saadhikkalanga, Idhu Oru Kadhayin Kadhai, Apapadi Podu etc. He directed his daughter’s acting debut film Parijatham in 2006 co-starring Prithviraj Sukumaran, Prakash Raj and Sarath Babu, the film was a huge commercial hit. Apart from films he is also involved in writing and serves as editor of weekly magazine named “Bhagya” and so far wrote seven novels and few books. He was born to Krishnasaamy and Amaravathiyammal. He married his co-star Praveena in 1981 but unfortunately she died in 1983 due to jaundice. 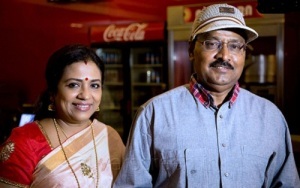 After the death of his first wife K. Bhagyaraj married actress Poornima Jayaram in 1984 and gave birth to a daughter named Saranya Bhagyaraj and a son Shantanu Bhagyaraj. 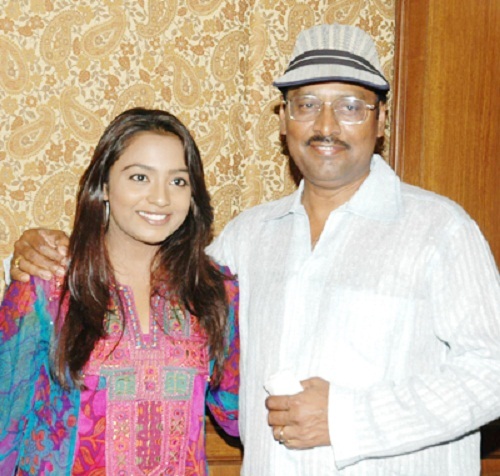 His daughter Saranya Bhagyaraj made her acting debut with Parijatham in 2006. His son Shanthanu Bhagyaraj made movie debut with Sakkarakatti in 2008.